One of the best breads to try if you have a sensitive gut is one made with 100% spelt flour. Spelt is an ancient grain and produces excellent bread. Records show it was cultivated in the Middle East from 12 000 years ago. By Roman times spelt flour had become popular throughout Europe. Spelt is low in the fermentable carbohydrate known as fructan and so it is less likely to trigger symptoms in a sensitive gut. Also if you make bread at home using spelt flour it will have a longer fermentation time than most commercially made loaves and this helps to degrade some of the components in the dough that can cause symptoms. Spelt flour comes as either wholemeal or white and both are suitable for making bread. It does contains gluten so it is not suitable for anyone with coeliac disease. As a rough guide limit your intake to two slices of spelt bread daily to help keep symptoms at bay. This is because it does contain some fructans but much less than regular bread. 100% spelt sour dough is very difficult to buy. There does not seem to be a market for it and so if you want to eat some you will have to make it yourself. The gluten in spelt is weaker than the gluten in regular wheat bread flour and so it does not rise quite so much. The loaves I made and photographed for this post rose well and tasted wonderful. They were the second batch. The first batch were slightly low slung. But they tasted so much better than most gluten free loaves I have tasted. I think the sour dough starter I made was not quite vigorous enough. It seemed to benefit from being left a little longer to really get going. If you make several loaves at the same time, they freeze well and can defrosted when needed. Any extra bread can be made into breadcrumbs and used in other recipes. It will take five days to make the starter and the starter will keep indefinitely, provided you look after it. Day one. 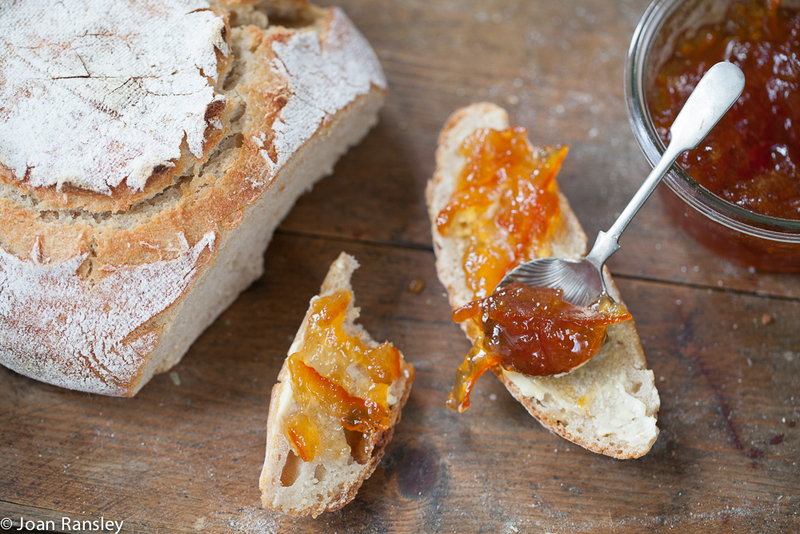 Mix one teaspoon of spelt flour and two teaspoons water in a clean jam jar. Seal and leave overnight in a warm place. Days two, three, four and five. Add one teaspoon of spelt flour and two teaspoons water to the jar and stir. Gradually bubbles will start to appear on the surface of the mixture. Leave a little longer if the ferment does not look very frothy. NB This ferment is ready to use to make a sour dough starter when large bubbles appear on the surface. Mix 15g/1 tbsp of the bubbling ferment from stage one with 150g spelt flour and 150g luke warm water in a large bowl and leave to ferment overnight. The next day use this starter for your recipe. Add one teaspoon of flour to the jar containing remaining sourdough culture. Stir well seal and refrigerate for another time. Putting the starter in the fridge does not kill the wild yeasts but causes them to become dormant. When you are ready to use the sour dough again pour away any grey liquid that may have formed and continue to make up the starter as described in stage two. A fresh influx of water and flour will invigorate the wild yeasts and they will be ready to use again in your next batch of bread. The only tricky part of making this bread is adding the correct amount of water to the dough. The amount of water used depends on the type and age of the flour, so you might have to add a little more or less to get the consistency of the dough right. Place the flour and salt in one bowl and mix together. In another bowl place 100g/100ml water and 75g sourdough starter and mix together well. Add the liquid to the flour and mix well. If it is too dry add up to 25g/25ml of extra water until the dough has come together into a soft ball. Use your hands to help at this stage. You may have to slightly adjust the amount of liquid used. Cover the bowl with Clingfilm (or use a shower cap or a clean used plastic supermarket bag) and leave for 10 minutes. After 10 minutes the dough is ready to knead. Keep the dough in the bowl and pull a portion of the dough up from the side towards you and then press it back it to the middle of the dough. Turn the bowl slightly and repeat this process with another portion of dough. Repeat this process about 8 times or until you have worked around all the dough. This should take about 10 seconds. Cover the bowl again and let it rest for 10 minutes. Repeat this kneading and resting process twice. Give the dough a final knead (you have kneaded it 4 times in all), cover and then leave to rise for one hour in a warm place. The dough should have almost doubled its volume and feel springy to touch. Uncover the dough and while it is still in the bowl punch it with your fist to deflate the dough ball. Lightly dust a work surface with flour and place. Remove the dough from the bowl and place on the work surface. Shape the dough into a smooth round disc. Line a proofing/ dough rising basket with a clean linen tea towel. Dust generously with flour and lay the dough inside. Sprinkle the top of the dough with flour. Allow the dough to rise until it has almost doubled in size. This will take between 3 and 6 hours depending on the temperature of the air. About 15 minutes before the bread has finished rising, preheat the oven to 240C(475F)Gas 9. Place a roasting tin at the bottom of the oven filled with a cup full of water. When the dough has finished rising, tip it out of the basket or colander onto a lightly oiled baking sheet. Gently remove the linen tea towel and place the loaf in the preheated oven. Lower the oven temperature to 220C (425F) Gas 7. Bake for about 35 minutes or until the surface is nicely browned. Turn the loaf out of the tin and place on a wire rack to cool. 20 Jan	This entry was written by Joan Ransley and published on January 20, 2015 at 8:08 pm. It’s filed under Basic methods, Bread and cereals, Lunch, Snack and tagged cooking, dietetics, FODMAPS, IBS, IBS Network, Irritable bowel syndrome, low FODMAP, sensitive gut, sourdough, spelt, vegetarian. Bookmark the permalink. Follow any comments here with the RSS feed for this post. Hi my name is Mary. You have the best recipe I have found foa a starter and bread recipe. Can you please convert the grams to US measurements. Sourdough does not really lend itself to a breadmaker but our recipe for spelt bread in our book would. I will try it out in a breadmaker and repost. Thanks for the suggestion. Hi, I am a bit confused at the instructions for starting the sourdough. “Days two, three, four and five. Add one teaspoon of spelt flour and two teaspoons water to the jar and stir.” Does it mean that on each day I add flour and water? Thanks so much! I am excited to try this! Hello An, yes you need to add the water and flour each day. Make sure you keep the starter in a warm place so the fermentation can work. The starter must be very bubbly when you make the bread. When you make the bread if you are able to tolerate a little wheat flour you may substitute a little of the spelt flour wheat flour – say 100g. I recommend this because it will help with the rise. Good luck. Following low-fodmap has made me a cooking fiend! This is my first ever loaf of homemade bread. I followed this, except I used a starter from my dad. For that last 3-6 hours of rising, I thought it still looked flat but put it in the oven anyway. It actually turned out good! Crispy on the outside and soft and slightly chewy on the inside. For my taste, I’ll put a little less salt next time. Thanks for the recipe! This recipe has worked out perfect for me, lovely crust and light inside. I do a 12hr rise in mixing bowl on counter, then shape in banneton/proffing basket and 15 hrs rise in fridge. I like the longer ferments. I was making wholemeal spelt but found it very harsh on my gut with such high fiber, they are like little blades going through. But this white spelt is much easier on my gut and will not switch from this bread, the only problem is i am eating too much 🙂 Thank you Joan, Anthony in Ireland. When you use 75g of the overnight starter you have some left – would you chuck it (seems a waste after all the effort!) keep it to re-use or just make extra loaves? Thanks you for your question. Yes you do need to wait until the bubbles appear in the ferment. This is a sign that fermentation is taking place. 21C should be OK. Maybe keeping the ferment in the oven prevents to ambient yeasts from getting into the ferment to start the fermentation process? I suggest having another try but this time keep the ferment in the kitchen to allow the ambient yeasts to get into the ferment.